What if a dream character gets stuck in a dream? Why does a person become frustrated? How does a spiritual seeker reach enlightenment? None of them realize they are dreaming, so what can they do? Becoming aware of internal struggles and allowing all experiences can help, but who really wakes up? When a human falls asleep, it can have unique experiences as a dream character. We call these experiences dreams. Dreams can have particular value if the dreamer, the one asleep, becomes lucid. The distinction between the dream character and the dreamer seems important to understanding lucidity. In a sense, the “mind” of the dream character expands more into the “mind” of the dreamer. From my perspective, the dreamer, not the dream character, gets lucid to some degree within the dream, and sometimes the dreamer only gets partially lucid. The dreamer can have profound experiences by falling asleep and entering what can feel like a realistic and three-dimensional world. This allows the dream character to have a life of its own. The lucid dreamer can decide that the dream character will have experiences, such as the feeling of flying to the sun, which do not seem possible when the dreamer is not sleeping. If the dream character naturally has such experiences and recognizes their unique flavor, lucidity increases. When the dream character realizes that it, as well as every element of the dream, exists as a figment of the “mind” of the dreamer, the dream character acts with less fear and treats others differently. This realization can also help the dreamer understand itself, or merely create some interesting dramas. When a dream character’s attempt to wake up out of a dream fails, the dreamer likely has only partial lucidity. If a character really knew it existed as an element of a dream, it would feel confident that the dreamer will eventually wake up when appropriate. This happens easily when the dream character and the dreamer absolutely know themselves as one and the same, although this process might get overrun by the “truer self” of the dreamer defined below. With such deep lucidity, a dream character can wake up out of dreams. I learned early in my life, however, not to wake up out of a dream to avoid difficult situations. At the age of seven, I first viewed a recurring nightmare as a dream. In the nightmare, I wanted desperately to change my experience, and I felt powerless to do so. I surrendered to the experience of the dream completely at the same moment that I knew without a doubt that I was dreaming. This resulted in my first lucid dream. After this, as a lucid dreamer, I often woke myself up out of dreams when it seemed appropriate, although my dreams often got repeated if I woke myself up because of resistance. In any case, I didn’t always have full lucidity. Occasionally, I would dream that I was falling forever. Feeling that I was dreaming, I wanted desperately to wake up. Through the years, I tried many potential solutions. If I still had a body, I might attempt to fall asleep in the dream. Years later, I learned to meditate in the dream instead. When I relaxed, my inner struggle slowed down, and I woke up more easily, usually at the moment that I surrendered completely to my experience. By the time I began lucid dreaming research at the Stanford sleep lab, waking myself up out of dreams seemed simple. I would consciously fall into a lucid dream and signal with my dream character’s eyes that I knew I was dreaming. Then, my dream character would perform a task and signal that the dreamer planned to wake up shortly, again without losing consciousness. EEG machines with electrodes recorded all this as it happened. They also demonstrated that I was physically sleeping the whole time and that my signals occurred during REM sleep. Since then, I have taught and presented on lucid dreaming for many decades and have heard from countless lucid dreamers. Many of them write to me about their struggle to control their dream, remain in the dream, or wake themselves up. One person actually attempted suicide as a dream character in order to wake up out of a dream, only to have the frustrating dreams continue night after night. I tell people to trust their current experience and learn to surrender to it as much as possible, without attempting to change it. Only the dreamer can make changes, and only after the dream serves its purpose. The dream character who doesn’t know itself as the dreamer cannot do much. In recent decades, my interests in lucidity have grown to include not only the sleeping state, but the waking state as well. Since 1990, I have taught and presented on what I call “lucid living,” or viewing life as a lucid dream. This has led me to the study of psychological-based spirituality. Spiritual seekers often get told that they are sleeping, and that they need to wake themselves up to become enlightened. I view enlightenment as waking up within one’s life. Similar to partially lucid dreamers, spiritual seekers can feel frustrated and struggle to become enlightened. Can humans actually make themselves enlightened or wake themselves up? When they do become enlightened, who really wakes up? As when I distinguished the dream character from the dreamer, a distinction between what I’ll call a “human” and their “truer nature” seems important. I use the term human as a shortcut for an earthborn person in waking life. In my work, I view this truer nature as part of the Dreamer of life . The spiritual teacher, Almaas, refers to the soul  and Living Being . Others call this truer nature an aspect of God. This truer nature can have interesting experiences by becoming human and entering what can feel like a realistic and three-dimensional world. The process allows the human to have a life of its own. In my work, I view the human’s life as a “dream,” often with unique time/space issues . A human’s truer nature can decide that it will have experiences that don’t seem possible when it is not sleeping. To learn about itself, or for the sake of drama, it might need to experience frustration or judgment as a human, while its truer nature’s natural essence involves power and acceptance. When a human’s attempt to become enlightened fails, its truer nature probably has only partial enlightenment. If a human really knew it existed as an element of its truer nature, it would feel confident that its truer nature will eventually become enlightened when appropriate. Perhaps spiritual teachers should aim to have the truer nature of a human become lucid, or realize, in a sense, that it is dreaming, instead of asking a human to wake up. With deep enlightenment, I also believe that a human can wake up out of its life. I compare waking up out of life to death. My sleep experiences lead me to believe that after death a human’s true nature continues a life/waking up cycle. However, it might have an experience similar to my gray space or remain in deep sleep, or total non-experience. In any case, what can a human do but accept its current experience, not struggle to change it, and let its truer nature deal with its death? Most likely, life and death happen most effectively when a human and its truer nature absolutely know themselves as one and the same. In conclusion, becoming aware of internal struggles and allowing all experiences can lead both dream characters and humans to act with less fear, treat others differently, and have valuable insights. Becoming lucid involves waking up within a dream. With enough lucidity, easily waking up out of a dream can happen. Becoming enlightened involves waking up within life. With enough enlightenment, easily dying, or waking up out of life, seems possible as well. With a dualistic perspective, I have distinguished the dream character from the dreamer and a human from its true nature in order to better understand lucidity and enlightenment. However, when the dream character fully knows itself as the dreamer and the human fully knows itself as its truer nature, the dualistic perspective becomes non-dual. 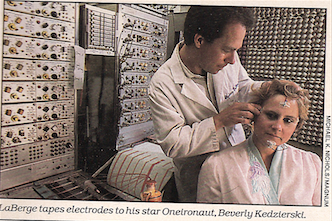 “Design your own dreams,” about Beverly Kedzierski (D’Urso), Omni Magazine, March, 1982. “Stephen LaBerge: The Doctor of Dreams,” about Beverly Kedzierski (D’Urso), LIFE Magazine, November, 1986. “I learned to use my dreams to improve my life,” about Beverly (Kedzierski Heart) D’Urso, First for Women Magazine, Volume 8, Issue 26, June 24, 1996. 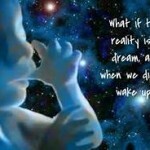 When our physical self goes to sleep, our dream self awakens in a dream world. Our dream self acts as one of the characters in our dream, taking on an image of our physical self. We have what feels like very real experiences in this dream world with other dream characters, but if we don’t know that our physical self is dreaming, we don’t sense our connection with our physical self, the dreamer. We continue having dream experiences until our physical self wakes up out of the dream. Does our dream self now die? Does it really matter, because we now find ourself in another world. From the perspective of our physical self, our dream self, the other dream characters, and the whole dream environment no longer seem to exist. We could say they all dissolved back into our physical self’s mind, although they never really left it. When our truer self goes to sleep, our physical self awakens in a physical world. Our physical self acts as one of the characters in the physical world, taking on an image of our truer self. We have what feels like very real experiences in this physical world with other physical characters, but because we don’t know that our truer self is dreaming, we don’t sense our connection with our truer self, the dreamer. We continue having physical experiences until our truer self wakes up out of the physical world. Does our physical self now die? Does it really matter, because we now find ourself in another world. From the perspective of our truer self, our physical self, the other physical characters, and the whole physical environment no longer seem to exist. We could say they all dissolved back into our true self’s mind although they never really left it. Having lucidity while asleep, we sense a connection with our physical self while our physical self sleeps. This connection creates a very powerful and meaningful dream life. Fear disappears because we know that we are more than just our dream body. We view all the characters in our dream, including our own character, as equal aspects of our physical self. We feel that we can direct our dream world by surrendering to the will of our physical self. Having lucidity while awake, we sense a connection with our truer self, while our truer self sleeps. This connection creates a very powerful and meaningful physical life. Fear disappears because we know that we are more than just our physical body. We view all the characters in our physical world, including our own character, as equal aspects of our truer self. 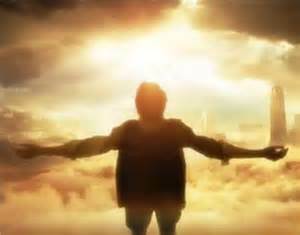 We feel that we can direct our physical world by surrendering to the will of our truer self. Wherever we experience dream characters, both our physical self and our truer self sleep. If our dream self senses a connection not only with our physical self, as typical in lucid dreams, but with our truer self, then it has access to the physical world because our truer self in a sense dreams up the physical world. In this case, the characters in our dreams could have a connection to others in our physical world because they exist as aspects of our truer self. As a newborn baby, Bev didn’t view herself as a separate person. Her true self looked out of her eyes, and she heard and felt a world, not around her but of her. At a few months old, her mother put a mirror in front of her. Bev saw an image with which she soon identified. When she felt happy, the image would smile. Bev began to think of the image as her true self. One day, the mirror fell and broke. Bev felt sad that she could no longer see her true self. She felt abandoned by her true self that seemed to no longer exist. Soon, however, Bev began to walk and talk. Her parents pointed to her body and said her name. When she danced and teased they said, “That’s our little Bev!” Bev soon viewed her body and personality as her true self. Now she felt silly that she thought of her reflection as her true self. She saw her true self as a separate individual in a vast world, where she seemed to create her own thoughts, feelings, and ways of moving. Every morning, Bev’s father would come to her room to kiss her goodbye before leaving for work. One morning, when she had just turned eighteen months old, she hid under the covers. Her father, probably running late, left without even saying goodbye. She felt horrible and guilty that she’d hidden from him. Immediately, she climbed out of her crib for the first time, and ran across the house to the front door. He hadn’t locked it, so she flew out the door. 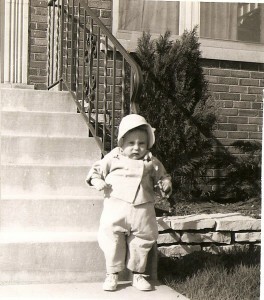 Bev ignored the six cement steps because she had not yet learned to climb stairs. She crashed at the bottom, landing spread-eagled on her back with a broken collar bone. She cried and screamed with pain and fear. The next thing she knew, Bev found herself in a hospital crib. Her parents were waving goodbye, having been told that they must leave her overnight. Three old nurses hovered over her. She felt extremely scared, hurt, and abandoned. The scene and characters seemed slightly different from her original “fall,” but still always involved her running through the house, tripping on the stairs, even after she had learned how to climb, and lying spread-eagled on cement crying and in pain. Three scary witches hovered over her. Only much later would she realize that the witches looked and acted like the hospital nurses. Her parents finally explained that at night, when she fell asleep, she had what people called “dreams.” They described her recurring dream as a nightmare. In her nightmare, she thought her physical body, which she called her true self, was running, falling, and crying because she didn’t know she was dreaming. Every time she’d wake up from the dream, she’d feel exhausted for a while, but then would go about her day. Of course, every night, she still hated to go to sleep, knowing she’d probably have the awful dream. It seemed that the dream wanted her to repeat one simple, but horrible, drama. She had no idea why, but thought, “What can I do to stop this dream? Why am I having it?” Her parents knew of no way to help her. They did suggest that she avoid certain foods before bed. That never worked. Bev wondered about the whole experience, but couldn’t think of anything to do but beg for mercy in the moment. Bev also began to understand that the three witches only appeared in her dreams. In waking life, she’d only see witches in fairytale pictures or in the recently released movie called Wizard of Oz. She never interacted with any scary looking witches in the waking state. By then, she understood that people only dressed up to look like witches for Halloween. Her parents told her, “All the dream characters, including the witches, exist as images in your mind. You’ve made them look like the scariest characters you could imagine at this young age. It’s your dream!” Bev had just turned six years old, and to her, they sure seemed real and separate from her in the dream. In the coming months, before Bev went to sleep at night, she started wondering, “Why don’t I remember that witches only appear in dreams, and that if I see them, I must be dreaming? Why can’t I remember that my true self lies safely in bed while all this happens?” Little by little she began to change how she responded to the nightmare. At one point, she asked the witches, “Please, spare me until tomorrow night’s dream.” This seemed to work. She’d wake up feeling better, but knew that she’d have to face them again another night. One night, the summer after she turned seven, she woke up in the middle of the night. She realized that if she knew that she was dreaming right when she spoke to the witches, then her true self could not get hurt because it remained safe in a bed that did not exist in the dream. However, only her dream body, or the image of her true self, could talk to the witches. She felt empowered and excited to fall back asleep. Sure enough, she began to dream that she ran through her house, fell down the stairs, and lay on her back. The scary witches hovered over her. However, this time, she didn’t ask to get spared until tomorrow night’s dream. She looked at the witches straight on and said, “Okay, take me now. Let’s get this over with!” They still looked terrifying, but she now had the confidence of her true self, which seemed to be looking through the eyes of her dream body. Bev felt willing to experience more pain because she knew that her true self could not get hurt. It lay safely in bed. Bev did not know at this time that she was merely playing out the drama of the “fall” when she got hurt at eighteen months old. At that young age, she couldn’t handle such strong emotions. Now, she had matured enough to deal with them. She finally felt willing to surrender to the experience and resist it no longer. Amazingly, the witches did nothing. They flew away and she never had this nightmare again in her sleep. She woke up elated, feeling powerful, strong, and invincible! After answering this question many times a day for quite some time, she realized that she could never know for certain that she was not dreaming at any moment. She’d gotten tricked so often into thinking of herself as awake when really still asleep. She decided that while in the waking state, maybe her real true self, which she no longer saw as her physical body, could be dreaming, and she, which she now saw as her self image, just doesn’t have enough lucidity to know it. Maybe when she feels scared or sad she just needs to surrender completely to the feelings that her real true self creates. As Bev got older, instead of focusing on merely having adventures in her sleeping lucid dreams or in her waking life, she became very interested in the times when she had uncomfortable experiences in either state. She wanted to get through such experiences the way she finally did in her childhood nightmare. In other words, she wanted to learn to get lucid in every moment in any state and not wait until she went to sleep to do so. At one point, Bev noticed herself having what some might call scary nightmares in her waking state. She began to see how these experiences related to her eighteen month old “fall” and her childhood witch dreams. She learned to act as if she were dreaming while awake and the dreams, or dramas, would end. Acting as if she were dreaming meant acting as though her true self was sleeping and recreating dramas in which her self image could surrender. 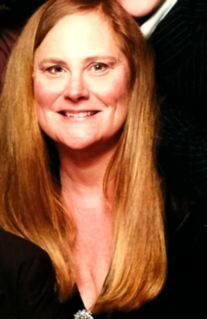 During these times, Bev no longer viewed her waking physical body and her personality as her true self, but as merely a self image. She now viewed her true self as a being beyond the physical world, more like what others call True Nature. With this viewpoint, Bev recognizes all the dramas of her life, big and small, as dreams of her true self. She also sees all the people in her life, including herself, as equal images in the mind of her true self. From her true self’s perspective, no separation exists. Because of this, she treats others with more respect and sometimes even sees her true self looking through their eyes. As she plays out her dramas, the environment and characters may vary, but it seems that whenever she has a strong feeling, she’s merely working out some drama in the past that she couldn’t handle from her past. By thinking this way, she no longer blames herself and others for her feelings. Bev learned from her sleeping state lucid dreams that when lucid, anything her true self imagines can happen. So now, in the waking state, when she stays out of the way and lets her true self do the imagining, she finds her waking life full of unlimited possibilities as well. Magic seems to happen whether she sleeps or not. Bev recognizes that in the sleeping state, time and space laws do seem to act differently than in the waking state, but this does not mean that people do not dream in both states. Whenever she finds herself in a body, separate from others, she figures that her true self must be dreaming because she believes that an ultimate true self, or what some call God, cannot really get divided. Bev now believes that her painful experiences originate from what happened to her previously, maybe even earlier than eighteen months. Her witch nightmares seemed based upon a separation from her father and a “fall.” Some religions say that soon after birth a person separates from his or her Father in Heaven. Some even refer to this experience as the “Fall from Grace.” If people can let themselves feel the pain of such an original separation fully, maybe their true self will wake up and stop recreating such painful dramas in so many different ways. Then everyone can live an empowered, secure, and loving life in each moment whether awake or asleep. Spiritual teachers talk about “Being in the Present Moment.” For me, this appropriately describes the point of becoming lucid in a dream. I believe that lucid dreaming can help even non-dreamers better understand self-realization. I see lucidity in the sleeping state as a microcosm of self-realization in the waking state, which I study in my spiritual work. At this point, I follow the Diamond Approach path of A. H. Almaas as a member of the Ridhwan School and Seminary. Almaas, namely Hameed, spoke here last night as an invited keynote address. Today, I will show how lucidity actually relates to what I call expansion of self, and what it means to have levels of lucidity when asleep or awake. I did not know the term lucid dreaming until the late 1970’s, when I had the opportunity to do lucid dream research with Dr. Stephen Laberge at Stanford University before and after completing my MS degree that focused on Cognitive Psychology and my PhD that involved Artificial Intelligence. Just before this, I discovered that I my dreams since the age of seven get called lucid dreams. In one memorable one, I faced my fears of the scary witches from my recurring childhood nightmares. One night, I looked the scary witches in the eye and simply said, “Okay, what do you want? Let’s get this over with! I have used this experience to enhance my dreams and my life in numerous ways ever since. Lucid dreaming simply means that I know I dream while I dream. It does not necessarily imply control of the dream as popular media often suggests, although it does involve more than merely having clarity or awareness. I define the term dream as an experience of an outer world made up of characters, actions, and an environment that an expanded self has helped create. I define the term expanded self as a collective mind, and not merely the brain in the head asleep on a pillow. 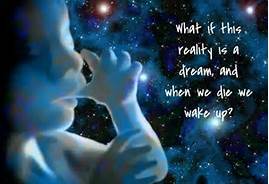 The waking state fits my definition of a dream, hence my work gets called Lucid Dreaming/Lucid Living. I say that Beverly sleeps while her dream self plays and Beverly plays while an expanded self sleeps. In other words, I say I dream in any moment where a ‘me’ exists to have an experience. With lucidity, I see myself as more than just my body, I view anything as possible, and I see everyone and everything as parts of an expanded self. I started giving presentations on lucidity in 1986 for the annual International Association of the Study of Dreaming conferences, both in-person and, in the last decade, online as well. You can find most of my seventy publications on one of my websites, for example: www.wedreamnow.info. You might wonder why I gave the site the name wedreamnow. The current state I find myself in serves as the most important one for me, and I tend to say that we dream now in every moment. However, I don’t say we, in this room, exist in my dream, but in our dream, which comes from the collective mind I described earlier. By a show of hands, how many people here feel we might exist in a dream right now? I will refer to a chart called Levels of Self or Consciousness where I show how my sense of self expands or contracts. This does not necessarily occur, however, in a linear fashion, which I will show for sake of simplicity. I feel that only one reality exists, and my experience depends upon my level of lucidity. I do, however, discuss two states, namely the waking state and the sleeping dream state. I use this time-related distinction because people typically say they dreamed in the past or will dream in the future. Therefore, I have divided the chart into columns for the WAKING STATE and the SLEEPING STATE. It describes three major levels: non-lucidity, lucidity, and beyond lucidity. The actions at each level occur in, or relate to, one of the two major states. At different times in my life, I may have dreams that I can’t even recall, while in my waking state I seem very lucid. The opposite can occur as well. Also, I can lose and gain lucidity in a single moment. At each level, different methods can encourage such expansion. Only a few will get discussed in this rather short presentation. In developing my chart, I will give some examples of issues with my spouse and my witches. I summarize how my levels expanded as a child and beyond in the following way. I see witches, so maybe I am dreaming. Witches, what do you want? Thanks for serving as my creative power, witches! Note that I discovered much later in life that the witch dream scenario almost perfectly matched a terrible accident I had at eighteen months old when I broke my collar-bone. I label the first two levels non-lucidity because at these levels, I don’t have much awareness in the moment. I call the first one the contracted level. At this level, I do not reflect (11) upon what I do. When I act at this level in either state, I may blame, suffer, laugh, or just simply not pay attention. In the sleeping state, I may have what we typically call dreams, but I do not recall them, let alone recognize them in the moment. In either state, when I notice after the fact that I have acted, for example, in hurtful ways, I call this the level of reflection. I have not expanded enough to notice or change my actions in the moment, but I can recall life issues, or dreams from my past, and learn from them. At this level, I remember sleep state dreams only after they happen, and therefore they get called non-lucid dreams. For example, to reduce my tendency to always blame others in the waking state, I may seek therapy. To learn from my dreams, I may join a dream group. At this reflection level, I likely feel limited, and I view my world as unchangeable. At this level in the waking state, I might yell at my spouse and blame him for my hurt feelings. In the sleeping state, I might try to run away from scary witches that chase me. After the fact, I might try to figure out ways in which I can deal with my feelings concerning my spouse or the witches the next time I face them. Before I went to sleep as a child, I did, in fact, begin to think about how the witches only came in dreams. The next levels I label lucidity. Whether in the waking state or the sleeping state, when I really pay attention to my environment and my body, and I inquiry into my assumptions, my level expands. The first level of lucidity I call semi-lucid. At this level, in the previous examples, I might notice in the moment that the source of my hurtful experience does not come from my spouse. In the case of the witches, I might question if I am dreaming. The next level I call lucid. I often experience expanded potential and more awareness. In the waking state, with even partial lucidity, I find that small frustrations disappear quickly, and I experience more presence. I focus on the present moment, and feelings of ambition or regret don’t come up. Time tends to disappear. I see my life as a dream. 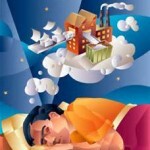 When I know I dream while I dream in the sleep state, my fear decreases and my mind clears. I do not have to ‘do’ anything, but merely realize that I dream while I dream. If I question my assumptions, especially when I do not feel positive about what I am experiencing, it can help me respond in more appropriate and creative ways. I call this level more lucid. My response to what happens comes from an expanded self. I can accept what happens in the moment and easily surrender to, and fully face, painful or scary situations. I have done this in the waking state, for example when a doctor told me I needed a certain procedure that at first I refused due to fear. When I noticed several personal lucidity clues. I became more lucid. The whole procedure lost much of its fear element and made sense. In a similar way, in my sleeping state at the age of seven, I faced up to the witches while they still appeared scary, instead of running away or first turning them into something more acceptable. At what I call very lucid level, I feel that I can realize interesting dramas in my both my sleeping state and the waking state. 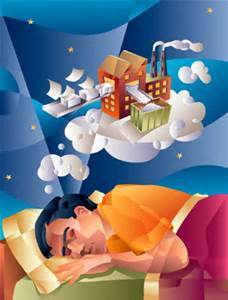 Some experiences I have had in my sleeping dreams also seemed to enhance my waking life, and vice versa. For example, we actually showed in the lab that we affect, to some degree, our physical bodies in our dreams. I believe that the powers I get at a very lucid level in the sleeping state, such as the ability to fly, relate to the aspects of essence studied in the Diamond Approach, such as strength or peace. However, I have noticed that many people unrealistically expect to get to this very lucid level the first time they attempt to have a lucid dream in their sleeping state. Through the years, I have attempted to teach people how to have a lucid dream. I even helped develop the first versions of lucidity induction devices, those computerized sleep masks you may have seen. Still, for me, the process has always seemed very natural. Lately, I have created workshops to help people fully experience their emotions in any state, as a way to gain lucidity. In the waking state, I feel that lucidity has helped me realize many lifelong, heart-felt desires, such as finishing my Ph.D., finding a life-long mate, having a child, dealing with grief, and healing my body. I did all these with an attitude of intention, presence, and acceptance, and not with what gets typically gets called ‘will power.’ I discuss all this in several of my lucid living and surrender publications on wedreamnow.info. At a very lucid level in my sleeping state, I can do things, such as fly through walls, heal, talk to quote ‘people who have died,’ get valuable information, and much, much more. In my final level of lucidity, I still experience a dualist world, but really know all parts as ‘One.’ I call this the level of most lucidity. Many spiritual teachers describe this state of no separation, but rather a connection with everything they experience. At this most lucid level, I listen carefully to what others have to say to me. I may try to find ways to show I agree with them, instead of just defending myself, as I would when acting from more contracted levels, because I know us both as parts of an expanded self. Many years ago, in a sleeping state lucid dream, I was giving a presentation at a conference similar to this one. Suddenly I stopped when I became what I felt as most lucid. I assumed that all the people in the audience existed only in Beverly’s mind, so I felt I had no need to continue presenting. Now, I refer to others, as well as Beverly, as all parts of an expanded self that flourishes as all of its parts expand. In the style of a bodhisattva, I say that I won’t experience complete lucidity, as long as I see those around me as not experiencing lucidity as well. Remember, each level I describe builds upon the earlier ones, and I can act from any of these levels at any moment, while awake or asleep. I do still sometimes jump among them depending upon the situation, but I don’t feel pressure to get to any particular level. I merely practice noticing my level in the moment. The last level I will describe I call beyond lucidity. I have experienced this level in my sleeping dreams, but despite the energy received, I do not strive for it, as a master on a ‘mountain top’ might do. At this level, I no longer seem to have a body nor an environment. You might say that I merge into what one might call vibration, sound, and light, and then into nothingness, or what I also call everythingness. From my current perspective, I could describe this as expansion or awakening into ‘Being,’ or ‘Source’ or ‘God.’ I prefer the term ‘Dreamer,’ with a capital ‘D’. I have copies of this presentation and cards to give to out after this session. I will also put this presentation on my websites next week. Thank you again. The witches scared me last night. Take me in tomorrow night’s dream, witches. Thanks for serving as my creative power, witches. Brief Abstract: Beverly will share her ideas about lucidity, self image, and true self by telling a story about a little girl who begins life as her true self but quickly learns to dissociate from it. First, she equates herself with an image in a mirror. As she learns to walk and talk, she thinks of her body and personality as her true self. When she understands that she is dreaming she knows her true self as more than just her body. She discovers how her true self can release her from pain if she surrenders to it completely. Brief Bio: Beverly D’Urso, one of the characters in this dream we call life, started having lucid dreams in her sleep at the age of seven after she surrendered to her true self in a recurring nightmare. After researching lucid dreaming in the 1980’s at Stanford, where she completed her PhD, she began to study spirituality. 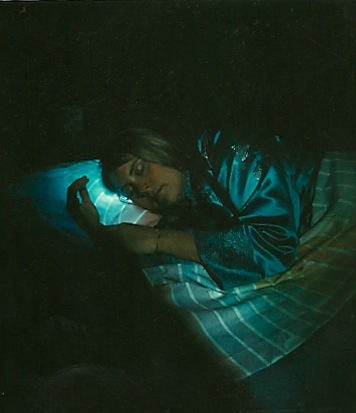 Beverly currently follows the Diamond Approach path and maintains the sites: http://www.durso.org/beverly/ and http://wedreamnow.info/ She no longer waits to go to sleep to become lucid and surrender to her true self.